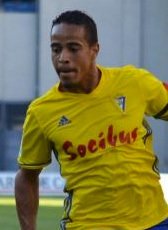 Brazilian-born Dutch defender Lucas Bijker moved abroad in August 2017. He moved to Spain to join FC Cadiz on a 3-year contract. Cadiz is playing in the Segunda Division. The Dutchman played in 2013 several international matches for the Netherlands U21 team. In summer 2018 he was released from his contract and moved to Belgium to sign for KV Mechelen. Bijker signed a 3-year contract with an option for another season.